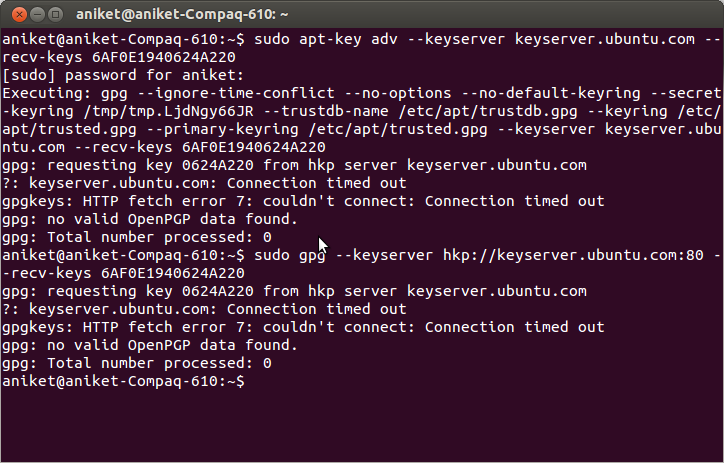 Clearly we need to download the key from Ubuntu key server. Things to check before you see Approach 1 and 2. Open the file ~/.gnupg/gpg.conf with the editor. 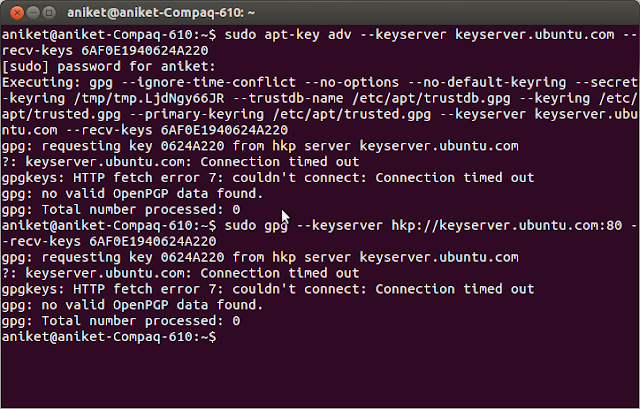 sudo apt-key adv --keyserver keyserver.ubuntu.com --recv-keys 6AF0E1940624A220This did not solve my problem. I got connection timed out. 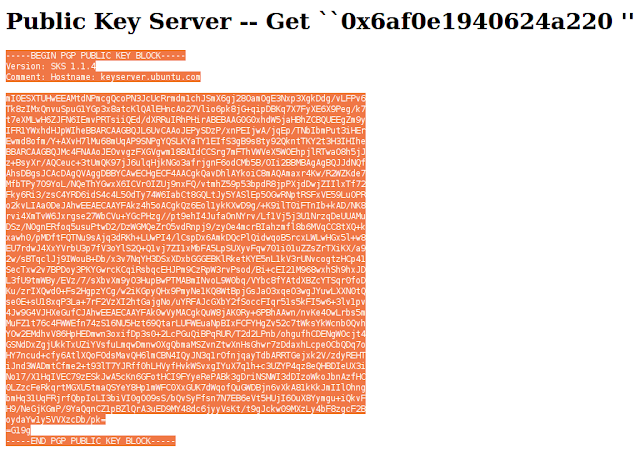 Errors i got by following both methods in this approach are in below screen-shot. Note : Here if you are getting Connection refused then this may be a proxy problem. 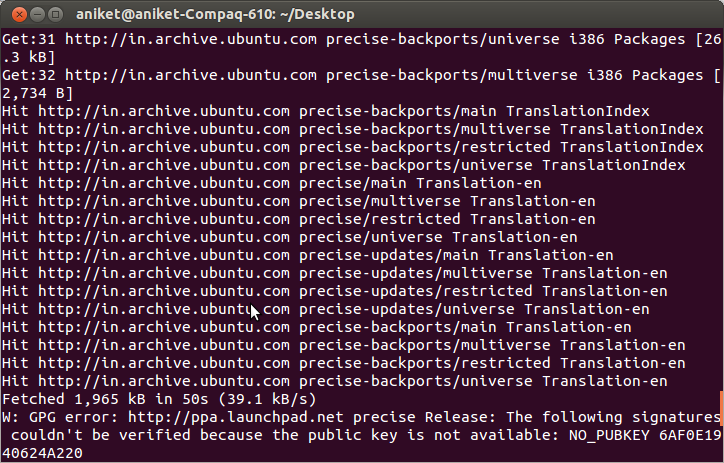 Check if you are behind any proxy or firewall. If the command are not doing it for you, you have to do it on your own. After a long research on this problem i finally decided that the best thing to do was manually download the key and add it.This is how i did it. Click on the link provided in the pub section. Copy the whole text(highlighted in below screen shot) from the page and save it in a file(say filename is key1). and you will not get any error. Update happens smoothly. Do let me know if you still have any doubts. Collection if we go by name means group of some entities. From a bit more technical perspective it means an object that groups multiple elements into single unit.Collections are used to store, retrieve, manipulate and communicate aggregate data. Each of the above will be taken individually and explained but lets take one example to understand Collection frameworks. First thing to note is that Collection interface is the top most entity in the entire Collection tree.Yes it is an interface and all other entities in Collection(List,Set,Queue) implement this Collection interface.Collection interface also implements an interface called Iterable which allows us to iterate over the elements stored in the collection but do not worry about it for now.We will explain it separately. If you see above picture List is a Collection.Note again that List is still an interface and multiple implementations of it are possible. 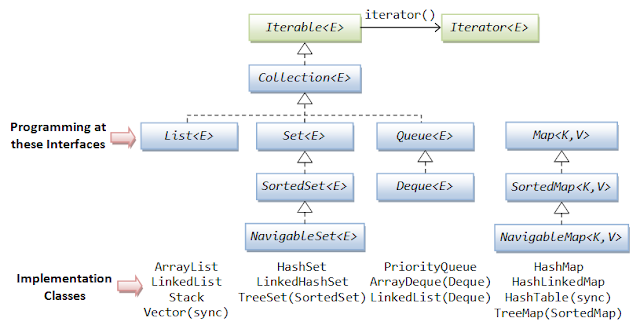 Example we can have ArrayList, LinkedList, Stack, Vector etc. Each concrete implementations just mentioned will have different Algorithms associated with them. 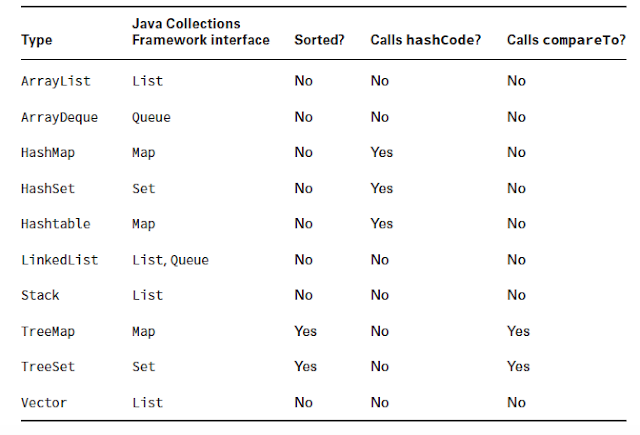 Note : Map interface and it's concrete implementations do not form a part of Collections i.e Map interface does not implement Collection yet it is a part of Java Collection framework. Also since Map interface does not extend Collection interface(which in turn implements Iterable interface) Map cannot be directly iterated over it's elements. There is another way of-course but we shall see it later.